This paper examines the effects of introducing competition into monopolized network industries on prices and infrastructure quality. 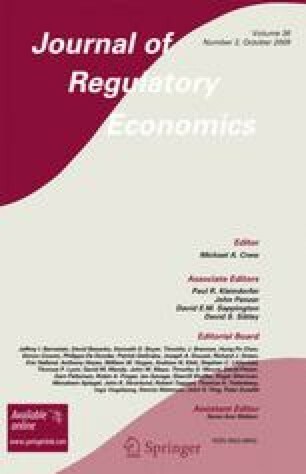 Analyzing a model with reduced-form demand, we first show that deregulating an integrated monopoly cannot simultaneously decrease the retail price and increase infrastructure quality. Second, we derive conditions under which reducing both retail price and infrastructure quality relative to the integrated monopoly outcome increases welfare. Third, we argue that restructuring and setting very low access charges may yield welfare losses, as infrastructure investment is undermined. We provide an extensive analysis of the linear demand model and discuss policy implications.